Harmony Tech was launched in early 2011 by Jason Russell. 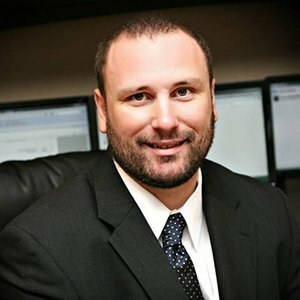 Mr. Russell has over 20 years of experience building and maintaining best-in-class enterprise architectures for businesses and government agencies. He has a solid track record of identifying the root cause of complex problems and deploying swift, effective solutions on time and under budget. Prior to working in Iraq, Mr. Russell worked at the National Security Agency as a network security consultant for Computer Sciences Corporation and also served over eight years as a Cryptologic Technician (Communications) in the United States Navy. While serving in the United States Navy, Mr. Russell was stationed aboard the USS Denver (LPD-9), aboard the USS Belleau Wood (LHA-3) and was the ISSO (Information Systems Security Officer) at the Naval Information Warfare Activity in Washington, DC. Mr. Russell holds multiple IT industry certifications, is a member of the FBI’s InfraGard program, is a volunteer for Team Rubicon, is a volunteer coach & mentor for the CyberPatriot National High School Cyber Defense Competition and a volunteer coach for FIRST LEGO League. Mr. Russell lives in Heathrow, Florida with his wife of over 20 years, their identical twin 12-year old sons, and several pets.